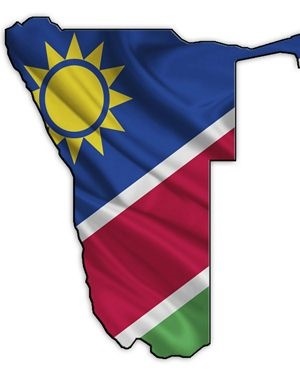 New York - Namibia will seek to raise about $5bn in loans and bonds over the next decade to help diversify and industrialise its economy with any debt sales to take place in South Africa, according to the country’s president. The southwest African nation plans to issue rand-denominated bonds and get funding from countries including the US, China, India and Japan, according to President Hage Geingob. “We’re looking at the South African bond market and some concessional loans,” the 75-year-old said in an interview at Bloomberg’s office in New York on Monday. “Rand bonds would be much better” than dollar-denominated Eurobonds," he said. Namibia, one of Africa’s wealthiest nations with a gross domestic product per person of about $5 000, pegs its currency to South Africa’s rand on a one-to-one basis. While the rand has appreciated 12% against the dollar this year, since the start of 2015 it has been one of the worst-performing currencies among major emerging markets, weakening 17%. That’s caused the Namibian dollar to drop in tandem and made its debts in the US currency more expensive to pay off. Namibia doesn’t have any plans to sell another dollar Eurobond, said Geingob, who came to power last year. It’s tapped the market twice, most recently in October 2015, when it sold $750m of securities due in Oct. 2025. Yields on those fell 2 basis points to 4.44% by 15:23 in Windhoek, the capital. They’ve fallen from a peak of 6.95% on January 18, gaining bondholders 24%. That compares with an average gain in that period of 15% for emerging market dollar bonds issued by governments, according to Bloomberg indexes. Namibia has issued three rand bonds since 2012. In July it sold R492m ($36m) of debt maturing in August 2023 and August 2026. Geingob said the government would also seek German investment, including in wind farms, as a form of reparation for the Herero massacre in the early 20th century, when Namibia was a colony known as German South-West Africa.